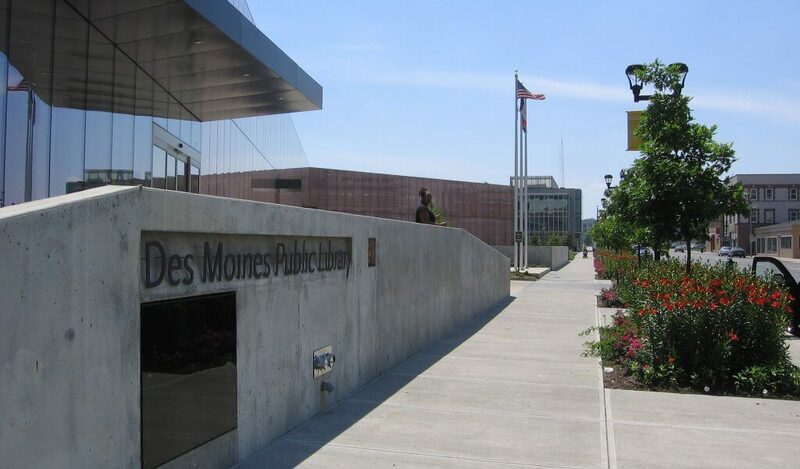 The Des Moines Central Public Library is a one-of-a-kind structure in the Metro area. It has a distinct angular shape and coloration due to a unique glazing system that incorporates a copper mesh screen sandwiched between panes of glass. This controls light intensity, energy costs, and provides a warm copper glow in the evening. Convenient onsite parking in an underground garage. Impressive structural two-way flat slab floor system, which doesn’t require beams for support. Striking exposed structural elements (stair framing, concrete columns, slab planes). Efficient raised floor system allowing mechanical and electrical equipment to be hidden, yet readily accessible for easy connection, maintenance, and future upgrades. 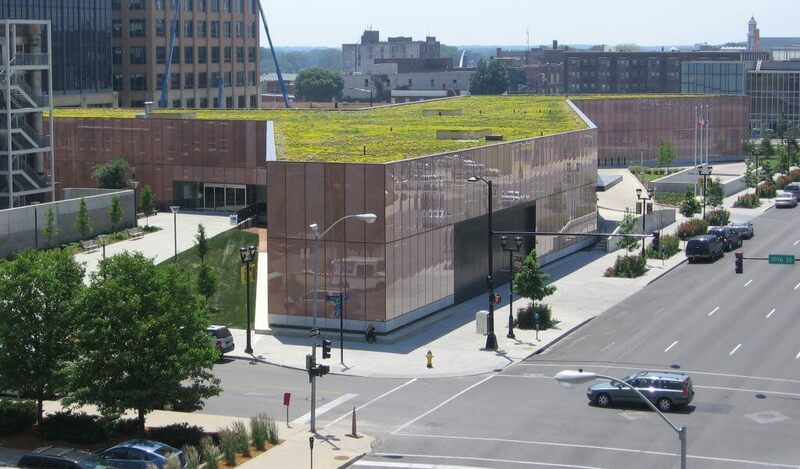 The first green roof in Iowa featuring grasses, native plants, and flowers, which helps retain rainwater and minimize runoff. Cutting edge information technologies integrated throughout the facility. Park-like setting, with a special blend of trees and plantings. The project design team includes architects and engineers from Europe and Des Moines, giving the library an international flair. 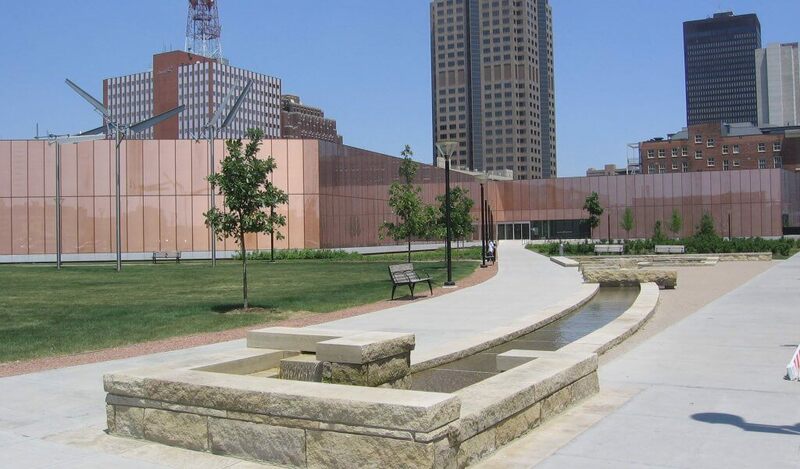 Shuck-Britson provided structural design, construction review, and special inspection services for this project.